President-elect Donald Trump has said that he will pull the United States out of the Paris Climate Agreement and ramp-up domestic fossil fuel production, however, big business is urging him to stick with the UN accord. While installing climate deniers in some key positions Trump has claimed he will "keep an open mind" about the Paris deal. The election of Trump has cast a shadow over COP22 and world leaders warned the President-elect to respect the Paris Agreement. As reported by Chris D’Angelo in the Huffington Post, some leading names in the American business community wrote an open letter to the President-elect and other leaders. They say that withdrawing from the Paris Agreement "puts American prosperity at risk." 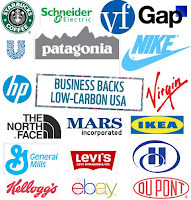 "We, the undersigned members in the business and investor community of the United States, re-affirm our deep commitment to addressing climate change through the implementation of the historic Paris Climate Agreement,” the companies wrote. “We want the US economy to be energy efficient and powered by low-carbon energy. Cost-effective and innovative solutions can help us achieve these objectives." Matt Patsky, CEO of California-based Trillium Asset Management, said in a statement, "now is the time to remind the incoming administration that virtually every company in the Fortune 500 and over $100 trillion in investor assets has acknowledged the reality of climate change and the need to address it head on." These businesses support cost-effective, innovative solutions. Failure to build a low-carbon economy puts American prosperity at risk. But the right action now will create jobs and boost US competitiveness. These businesses see value in efficiency and low carbon energy and they see themselves as playing a key role is pushing the new administration to act responsibly. "The Paris agreement was a vital step forward, but its power is in our collective action,” Lara Birkes, chief sustainability officer at Hewlett-Packard Enterprise added. “Business and government leaders must urgently work together to drive a thriving, low-carbon economy." "Continuation of low-carbon policies to allow the US to meet or exceed its promised national commitments. Investment in the low-carbon economy at home and abroad in order to give financial decision-makers clarity and boost investor confidence. Continued US participation in the Paris climate agreement to provide the long-term direction needed to limit global warming." Government policy informed by science is crucial to climate action but the Trump administration appears to be stalwartly anti-science. 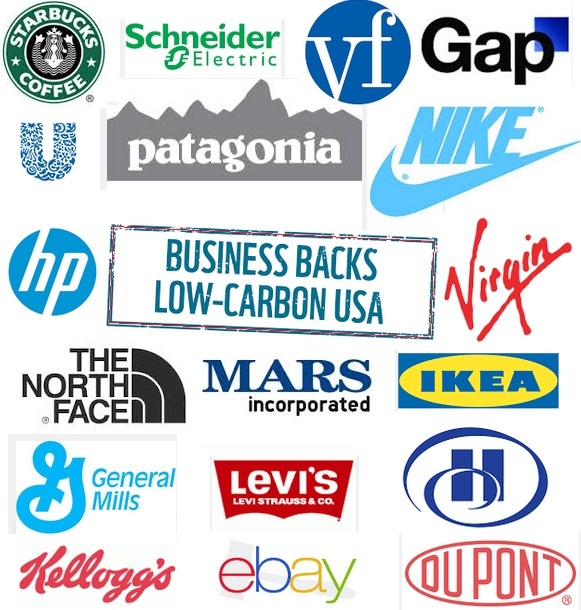 Despite the position of the Trump administration, more than 200 companies are calling for science-based emissions reduction targets. We have seen a number of market indicators suggesting that the transition to low carbon energy has tremendous momentum that will be hard to stop. Every year since 2010 investments in renewable energy have surpassed investments in fossil fuels every year since 2010. States and cities across America are investing in renewable and putting a price on carbon. As reported by Oliver Milman in a Guardian article, "the shift to a low-carbon economy already has its own momentum, however, with the cost of solar and wind power tumbling in recent years. Nearly 100 coal power plants were retired in 2015, with renewables accounting for two-thirds of all new electricity generation." There is an undeniable momentum to the market forces that are driving the low carbon economy forward, We can expect to see the Trump administration's agenda countered by business and investors. However, we must also acknowledge that on their own market forces are insufficient. We will not be able to keep us from warming more the upper threshold limit of 2 degrees Celsius. Nonetheless, a darkness is about to fall over America and cast a shadow around the world. However, as reviewed in this article, some leading members of the business community offer a glimmer of hope. "Donald Trump is not a real businessman. He's a simple con artist, likely as bewildered at his recent success as he is emboldened. The con-job will soon become obvious and Trump's influence will begin to whither...One thing we have a lot more faith in is the ability of the motivated and forward-thinking people in business to continue pushing for positive change in the world." We need to face the hard truth about what Trump means for the planet, his administration is a kakistocracy that will push us past tipping points and invite hell on Earth.